I cursed silently in my mind as I ran through the woods, the branches scraping against my invisible limbs. Always have a plan, always have a plan. The internal mantra raced through my head as it always did when I was in a serious situation. My mother would expect nothing less from one of her children. It was our weekly capture the flag event and I was not going to lose to those idiotic Ares kids again. I didn&apos;t understand how they kept winning, well other than the fact that they kept teaming up with Hephaestus&apos;s cabin and almost every other cabin at camp. As well as through sheer brute force of course, which was all that the Ares kids were good at. They had no strategy whatsoever, which was certainly an advantage for me. Always have a plan, always have a plan, ALWAYS HAVE A PLAN. I could see the flag. It was barely ten feet away, the red silk of it reflecting the last bit of light from the sunset above, and had only three people guarding it. Well, three obvious guards anyways. I scouted a mile radius, finding no one else. Typical, Clarisse would have been too arrogant to have put any others guarding it. I grinned, as I almost tasted the sweet taste of vengeance for all the times they had humiliated me. Their mocking calls of wise girl, and blondie. I was sick of it, and this, this was my way of getting back at her and her cabin for all their taunts. 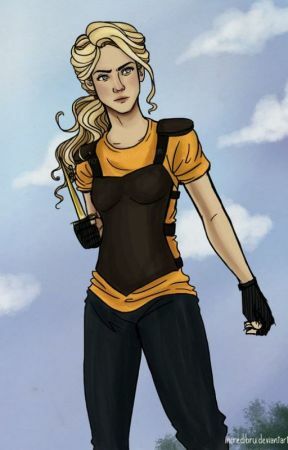 I, Annabeth Chase, was not going to lose to those simpletons ever again. I pulled my Yankees hat lower, the only thing that was keeping me from being spotted, over my face, to make sure it was secure. I slid my knife, the celestial bronze glinting despite the lack of light, from its sheath. It fit comfortably in my palm as I snuck around to the weakest one, Jimmy Carver, son of Aphrodite. Another one of Clarisse&apos;s mistakes. She should have had her strongest people guard the flag not her weakest. A flash of my dagger, and he was down. He would have a giant headache later from where the hilt had hit his temple. Eh, that was what ambrosia and nectar was for. The other two hadn&apos;t noticed the exchange thankfully. The next two would be more difficult. They were both sons of Hephaestus. Both very skilled with their respective weapons, but neither were particularly loyal to the Ares cabin. Besides, Hephaestus is the god of the forge, not security. I snuck up behind the one on the left, his brunette hair falling in his eyes as he was fiddling with pieces of metal in his hands. Just like before, he was out. The only problem was, he didn&apos;t go down as quietly. Actually, it could even be considered the complete opposite. His armor made a clanging noise, as the contraption in his hands ricocheted off it. The last guy, Eric, turned towards the noise, finally noticing his fallen comrades. He uttered a curse as he raised his sword, his eyes narrowed threateningly, as he spun around looking for the person who did it. I smiled, as I finally saw my backup arrive, right behind him. There was a blur of movement and then Eric was on the ground just like the rest. "Nice job, Annabeth," Luke called, making me flush. I hated the power he had over my feelings, but then again he&apos;s always had this affect on me. "Nice of you to finally get here. Kind of late, huh?" I slipped off my Yankee cap, still listening for anyone approaching. "Sorry, but you obviously had it handled." He grinned, which made the scar on his face even more noticeable than normal. He ran his hand through his blonde locks, his blue eyes alive with mischief. He grabbed the Ares team flag and tossed it to me, the crimson cloth almost slipping from my hands. "Whatever, let&apos;s just beat Clarisse." He grinned and we started to run to the boundary. We were almost there, so close to winning when the last thing I ever thought could happen occurred. "CAMPERS HALT! I AM SORRY TO SAY THAT THIS GAME OF CAPTURE OF THE FLAG IS CANCELLED. PLEASE RETURN TO YOU CABINS." Chiron&apos;s voice rang throughout the camp, bringing me and Luke to a screeching stop. I couldn&apos;t believe what I was hearing. We were so close, not even 100 yards from the sweet taste of victory. The flag slipped through my shaking fingers, as my entire body trembled with rage. I had traded BATHROOM PRIVILEGES FOR THIS CHANCE. I didn&apos;t care that I hadn&apos;t seen Chiron for weeks. He was in so much trouble when I found him. I left Luke standing there flabbergasted to hunt down the centaur. I ran through the entire camp, past the other campers, including my siblings, returning to their cabins. I arrived at the Big House, and rushed in. He was in the front room, his tweed suit as fastidious as always. His beard was trimmed neatly, and his hindquarters the blinding white they had always been. "Chiron," I yelled. It was supposed to come out angrily, but there was no way I could truly be angry at the old centaur. He was my teacher, and very much so like my father as well. He had been more of one then my true dad had for the past five years. He turned to me, his face breaking into a grin. "Annabeth, just the girl I was hoping to see. Oh how I&apos;ve missed you, young one." I started to say I had missed him too when I realized Grover wasn&apos;t here. He had left a while ago on a mission to recruit a camper, and Chiron had ended up having to go because they had believed he had been a child of one of the Big Three. He smiled a grim smile, as he guessed at what I was thinking. "Our young Grover is trying to track down Perseus. He abandoned Grover apparently after they had a run in with the Three Fates." I winced. Grover must be having a hard time. He had never forgiven himself for what had happened to Thalia, even though it had been years. Especially since it took him this long to get another chance at getting his searcher&apos;s license. Despite this, I couldn&apos;t help but feel a shiver of excitement race through me. This has to finally be it. He has to be the one. I&apos;ve waited years for him to finally show up so I can actually go on a quest. Besides something was wrong on Olympus. Ever since the Winter solstice something just wasn&apos;t right. Which was something I couldn&apos;t ignore. There was something wrong, something that was stolen, and I was going to help fix it. Before I could get another word out to Chiron, we heard a thump on the porch of the steps. We cast worried glances at each other, as we both approached the door and opened it. On the porch was Grover, passed out cold, and with him was a boy. He looked about my age, and obviously must have been the person that had dragged Grover all that way. I saw a glimpse of bright sea green eyes before they closed and he lost consciousness. "Di immortales," Chiron cursed. "Grab Grover, I&apos;ve got Percy. We need to take them to the infirmary right away." I couldn&apos;t help but stare at the bedraggled boy a bit more. He was soaked, his messy black hair was plastered against his forehead, his stunning eyes closed. His clothes were in tatters, and coated in mud that was mixing with blood seeping from wounds. As well as the gold dust that comes from a monster being killed. "ANNABETH," Chiron yelled, to get my attention. "We don&apos;t have time. Hurry up." I grabbed Grover, and began to carry him to the infirmary. All the way, thinking about the mysterious boy that Chiron was holding. The one that was supposed to finally help me understand what was going on, and to finally let me go on a quest. A giddy thrill raced through my body, as I began to make plans for what we were to do. Always have a plan, always have a plan, always have a plan. Okay, so this kinda... Well it was just my extra credit for English. Vote, and comment or whatever. Tell me what y&apos;all think. If you guys actually like it I may try to continue it like a PJO story from Annabeth&apos;s POV, but I think this is good as just a one-shot. Um... Have fun reading if anyone actually does. And once again sorry for the titles, and summary. 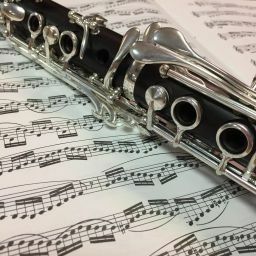 I&apos;m rather sucky at those and I&apos;m currently doing this at drama club practice. Well seeyah!